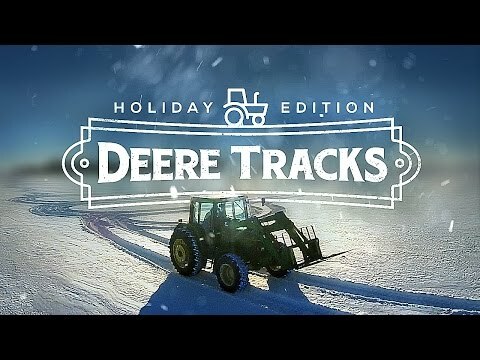 Prunty Farms decided to send a special message for all their viewers this Christmas by choosing Farmer Dan to write a message in 10 inches of snow. It wasn’t an easy job because Farmer Dan did not know if he was making all the right moves because one wrong turn would mean that he would have to redo the whole message. Therefor, Prunty farm chose to have a drone to film this from high above and helped Farmer Dan take the right turns and moves. It wasn’t easy for Farmer Dan because he was not able to see his work until it was finished. He covered two acres of snow and made a flawless message for this holiday mission, watch how beautiful this message looks in 10 inches of snow.